The United States Court of Appeals for the Sixth Circuit recently decided a case regarding the allowance of punitive damages in products liability suits. Magical Farms, Inc. v. Land O'Lakes, Inc., No. 07-3568, 2009 WL 4641742 (6th Cir. Dec. 8, 2009). Magical Farms, an alpaca farm, filed suit against Land O'Lakes Farmland Feed alleging that Land O'Lakes' alpaca feed was contaminated with a toxic ingredient (salinomycin) that caused the deaths of 73 alpacas. Id. at *1. Although Magical Farms was successful on its negligence claim, the district court denied Magical Farms' request for punitive damages. Id. Specifically, the district court noted that the Ohio Legislature requires a showing of "flagrant disregard of the safety of persons who might be harmed by the product in question" for an award of punitive damages. Id. at *2-*3. The district court determined that Magical Farms did not meet this burden because "the harm caused injury to alpacas, not to humans." Id. at *2. The court of appeals refused to apply so strict a standard, stating that the Ohio Supreme Court has allowed punitive damages "where the plaintiff alleged only that the defendant consciously disregarded its rights, and specifically its property rights, rather than the safety of a person." Id. at *4. The decision of the court of appeals is significant in that it affords protection to the property interests of persons in their animals. It is interesting to note that although the appellate court was applying Ohio law, this decision could have a significant impact in Kentucky as the Kentucky Legislature has established a standard regarding the allowance of punitive damages similar to that of the Ohio Legislature. See Ky. Rev. Stat. Ann. § 411.184 (1988) (using language including "human death and bodily injury"). 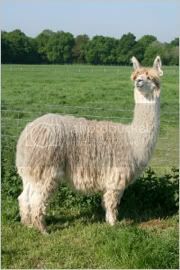 It is also interesting to consider whether the court would have reached the same result had the alpacas been pets as opposed to essential elements of a business enterprise.